Oil fell for a third day on Wednesday, nearing $50 a barrel for the first time in three weeks, as investors grew increasingly doubtful that OPEC members will agree to cut output and as U.S. inventories staged a surprisingly large increase. Iraq, the second-largest member of OPEC, does not want to join in with a proposed production cut that the group has said it will approve at a regular meeting in Vienna next month. “The market is definitely in need of some kind of soothing words once again, but it’s a ‘cry wolf’ thing. The talking has to get louder and louder to attract any attention, because scepticism is on the rise and I think rightly so,” Saxo Bank senior manager Ole Hansen said. “No doubt, the difference now compared to earlier this year, back when the market was primarily reacting to verbal intervention, is now something has been promised and if that promise cannot be fulfilled or delivered, then we obviously have a problem,” he said, adding that his near-term target for Brent was $49.40, followed by $48.40. 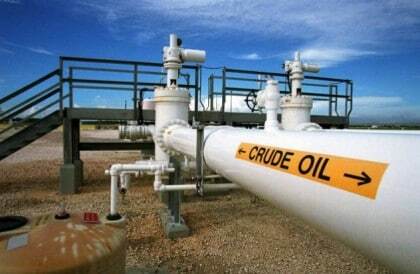 Brent crude futures were down 74 cents at $50.05 a barrel by 1120 GMT, having touched a session low of $50.02, the weakest level since Oct. 3. U.S. crude futures also fell 74 cents on the day to $49.22 a barrel. Iraq, the second-largest producer within the Organization of the Petroleum Exporting Countries, has argued it needs its oil revenues to fight Islamic State. At the Algiers meeting, Iraq said OPEC had underestimated its output, which it pegged at 4.7 million bpd, compared with the group’s assessment, based on secondary sources, of 4.2 million bpd. “Just the fact that there can be such a huge disagreement over what Iraq is actually producing creates doubts in the market over how OPEC is going to handle a cap on production in terms of verifying that the members are actually adhering to the individual targets,” SEB chief commodities analyst Bjarne Schieldrop said. And unless top world producer Russia, which does not belong to OPEC, joins in, that leaves the onus of a potential cut with Arab producers in the Middle East such as Saudi Arabia, Kuwait and the United Arab Emirates. Adding to the pressure on the oil market was data late on Tuesday from the American Petroleum Institute that showed an unexpected rise in U.S. crude inventories.